Just as the single-crystal silicon wafer forever changed the nature of communication 60 years ago, a group of Cornell researchers is hoping its work with quantum dot solids - crystals made out of crystals - can help usher in a new era in electronics. The difference between these and previous crystalline structures is the atomic coherence of each 5-nanometer crystal (a nanometer is one-billionth of a meter). They're not connected by a substance between each crystal - they're connected to each other. The electrical properties of these superstructures potentially are superior to existing semiconductor nanocrystals, with anticipated applications in energy absorption and light emission. 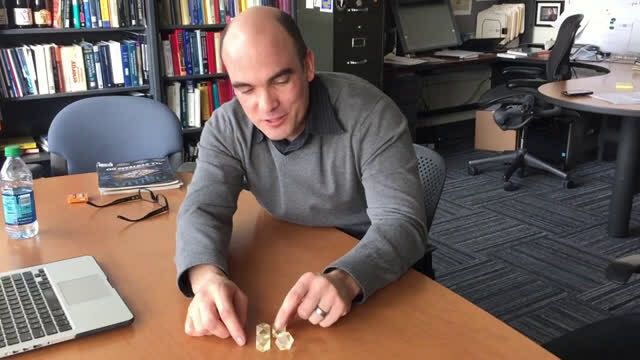 "As far as level of perfection, in terms of making the building blocks and connecting them into these superstructures, that is probably as far as you can push it," Hanrath said, referring to the atomic-scale precision of the process. 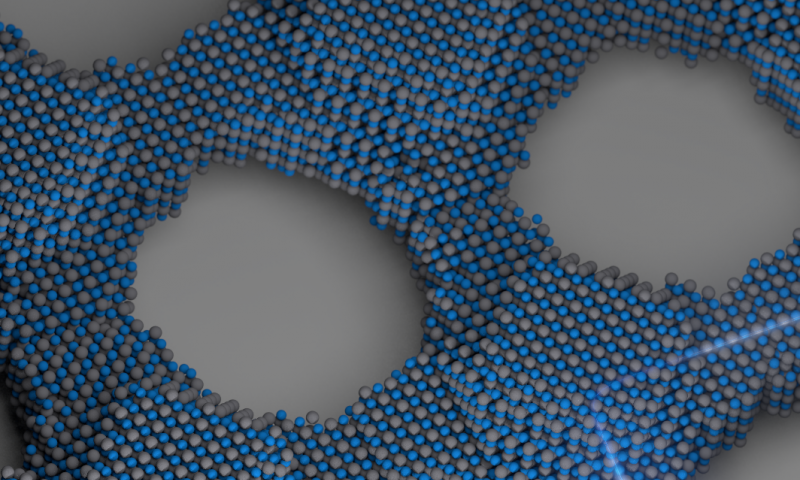 The Hanrath group's paper, "Charge transport and localization in atomically coherent quantum dot solids," is published in this month's issue of Nature Materials. This latest work has grown out of previous published research by the Hanrath group, including a 2013 paper published in Nano Letters that reported a new approach to connecting quantum dots through controlled displacement of a connector molecule, called a ligand. That paper referred to "connecting the dots" - i.e. electronically coupling each quantum dot - as being one of the most persistent hurdles to be overcome. That barrier seems to have been cleared with this new research. The strong coupling of the nanocrystals leads to formation of energy bands that can be manipulated based on the crystals' makeup, and could be the first step toward discovering and developing other artificial materials with controllable electronic structure. Still, Whitham said, more work must be done to bring the group's work from the lab to society. The structure of the Hanrath group's superlattice, while superior to ligand-connected nanocrystal solids, still has multiple sources of disorder due to the fact that all nanocrystals are not identical. This creates defects, which limit electron wave function. "I see this paper as sort of a challenge for other researchers to take this to another level," Whitham said. "This is as far as we know how to push it now, but if someone were to come up with some technology, some chemistry, to provide another leap forward, this is sort of challenging other people to say, 'How can we do this better?'" "It's the equivalent of saying, 'Now we've made a really large single-crystal wafer of silicon, and you can do good things with it,'" he said, referencing the game-changing communications discovery of the 1950s. "That's the good part, but the potentially bad part of it is, we now have a better understanding that if you wanted to improve on our results, those challenges are going to be really, really difficult." There has been talk about the promise about quantum dots for about 20 years now - so please excuse my skepticism. Like graphene, quantum dots seem to have been stuck in the development stage for an uncomfortably long time now.